Samuel Benchetrit is a French director who was born on June 26, 1973. 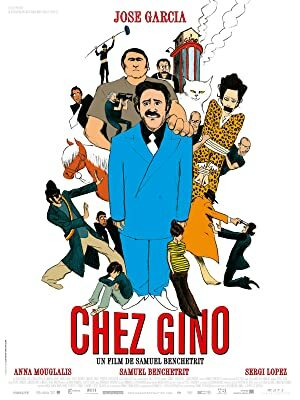 Chacun sa vie (2017) and Asphalte (Macadam Stories) (2015) are some movies in Samuel Benchetrit's recent filmography. On Spotify, Samuel Benchetrit keeps a low profile with only a popularity score of 1 out of 100 and about 3 followers as of 2018. Samuel Benchetrit's most popular track on Spotify is "Rimbaud und die Dinge des Herzens, Kapitel 1" from the album Rimbaud und die Dinge des Herzens (Gekürzt). As of 2018, Samuel Benchetrit has contributed to about 9 movies. Some of the most recent Samuel Benchetrit movies include Chacun sa vie, Asphalte (Macadam Stories), and Un Voyage. 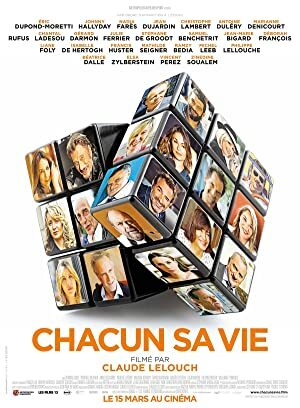 Samuel Benchetrit appeared as Samuel in Chacun sa vie, released in 2017. Asphalte (Macadam Stories) was released in 2015. Un Voyage was released in 2014. As of 2018, Samuel Benchetrit has 3 followers and a popularity score of 1 on Spotify. Rimbaud und die Dinge des Herzens (Gekürzt) is a popular album by Samuel Benchetrit. Notable tracks from this album include Rimbaud und die Dinge des Herzens, Kapitel 1, Rimbaud und die Dinge des Herzens, Kapitel 43, and Rimbaud und die Dinge des Herzens, Kapitel 42. Rimbaud und die Dinge des Herzens, Kapitel 1 is Samuel Benchetrit's most popular track, scoring 0 out of 100 on the popularity scale. Rimbaud und die Dinge des Herzens, Kapitel 43 and Rimbaud und die Dinge des Herzens, Kapitel 42 have popularity scores of 0 and 0, respectively. The Spotify popularity score is on a scale from 0 to 100 and reflects the number of times the song has been played and how recently it has been played.